And I took the two tables, and cast them out of my two hands, and broke them before your eyes. 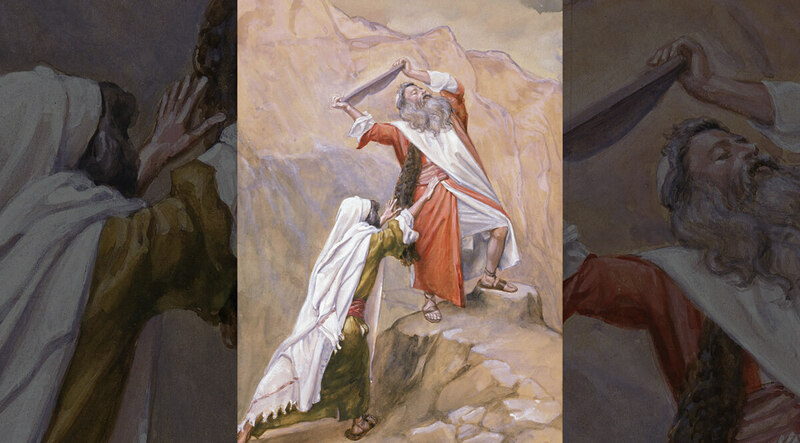 And I fell down before the LORD, as at the first, forty days and forty nights: I did neither eat bread, nor drink water, because of all your sins which you sinned, in doing wickedly in the sight of the LORD, to provoke him to anger. Therefore thou shalt love the Lord thy God, and keep His charge, and His statutes, and His judgments, and His commandments, always. And know ye this day, for I speak not with your children, who have not known and who have not seen the chastisement of the Lord your God, His greatness, His mighty hand, and His stretched out arm, and His miracles, and His acts, which He did in the midst of Egypt unto Pharaoh the king of Egypt and unto all His land; and what He did unto the army of Egypt, unto their horses and to their chariots: how He made the water of the Red Sea to overflow them as they pursued after you, and how the Lord hath destroyed them unto this day; and what He did unto you in the wilderness until ye came into this place. 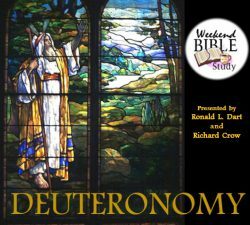 Tonight we are pleased to bring you the teachings of Ronald L. Dart and part five of his thoughtfully detailed study on the book of Deuteronomy, which teaches us to know God, love God and obey God.